When I sold real estate in Dallas, Texas in the 1990's, my last project was a gorgeous high-rise loft building on the edge of downtown, with a fabulous view of the city lights. Several of the buyers were people who had decided to shuck their suburban homes, their lawns, and their yard work, and move to this classy loft building. In the 1990's, these people were considered urban pioneers. They were moving into an area that had very few support services such as grocery stores, pharmacies and dry cleaners. However, what they lost in convenient shopping at suburban strip malls they replaced with easy access to the city's top restaurants, bars, theaters, museums and cultural events. Most of these high-rise buyers felt it was a fair trade-off. Recently, both Realtor Magazine and USA Today wrote articles indicating that this trend has become even more common among Baby Boomers over the past decade and a half. Many empty-nesters who are no longer worried about schools and playgrounds are deciding that they want to live closer to adult amenities. While high-rise condos and luxury apartments in the downtown area of most cities can be more expensive than life in the suburbs, some Boomers with grown children have discovered that they can now afford to indulge this lifestyle. After all, they no longer need to have three-bedrooms and a large amount of square footage. In addition, hopefully they are no longer supporting their kids! There are a few disadvantages to high rise living. First, you have to carry your groceries and other packages much further. You no longer have a garage situated right next to the door into your kitchen. Second, highrise living usually involves significant downsizing at the time you move into a condo or apartment. Third, living downtown means you are more likely to experience issues with traffic when you need to go places that are not within walking distance. 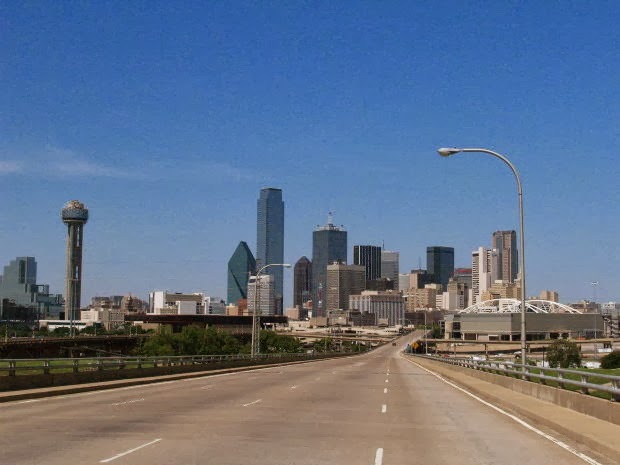 As a result, I have also noticed over the years that some Baby Boomers prefer not to move to a high rise in the downtown area of the city and, instead, choose to live in uptown townhouses, since they are still convenient to all the restaurants, bars and theaters that the downtown area had to offer. If you are looking for an opportunity to experience a new type of lifestyle, ask your Realtor to show you some examples of downtown highrises, lofts and uptown townhouses in your city. You might be surprised at how appealing these homes can be when you no longer need to be concerned about schools and other child oriented neighborhood amenities. 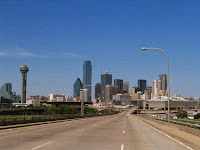 Public domain photo of downtown Dallas is courtesy of www.morguefile.com. This is a very interesting topic. I was almost expecting Irvine California to be on that list in the USA article. Highrises are popping up like crazy! I agree that Irvine, California, would be another excellent example of this lifestyle. Many of the highrises being built in that city are quite near the Segrestrom Sympany Hall, live theaters, shopping centers and more.